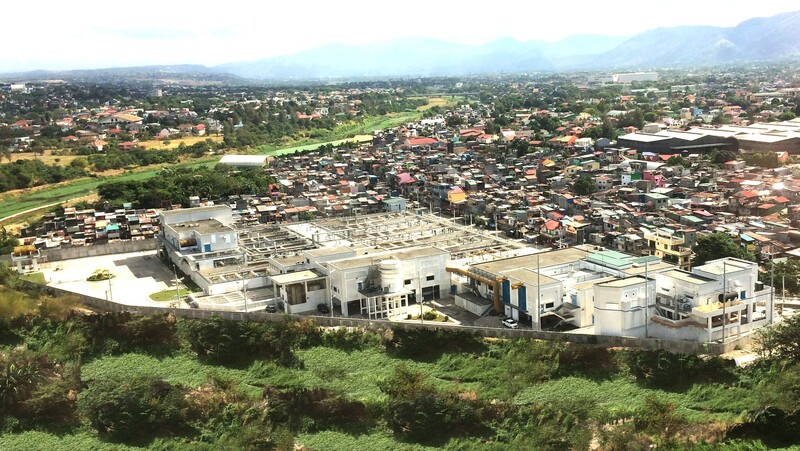 Manila Water continues to strengthen its programs on wastewater management | Manila Water Company, Inc.
Photo shows the Marikina North Sewage Treatment Plant, with 100-million-liter-a-day treatment capacity, built on a 2.3-hectare land. It utilizes a sequence batch reactor (SBR) treatment process that allows for more efficient and effective treatment of used water on smaller land areas. The STP is designed to benefit up to 523,000 population in Marikina City and San Mateo, Rizal. As of November 31, 2018, Manila Water has installed an aggregate of 140,245 sewer connections within the East Zone since the start of its concession period, serving a total of 191,784 households. From January to November 2018, 5,135 new sewer connections were installed, benefitting 5,849 households, while a total of 855 kilometers of sewer pipes were cleaned within the same period. 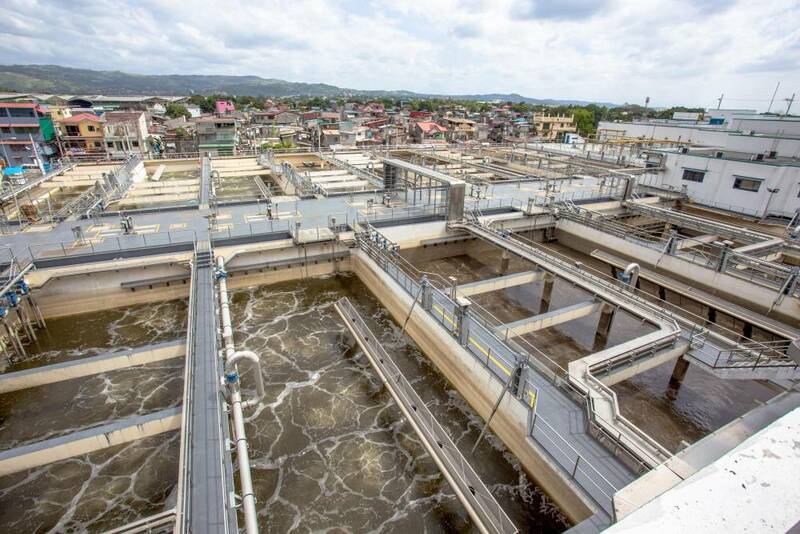 The latest addition to the company’s numerous used water facilities are two of its largest sewage treatment plants to date: Taguig North and Marikina North Sewage Treatment Plants. The Taguig North STP has a capacity to treat up to 75 million liters per day (MLD) of used water from communities in Taguig and the Makati CBD. It was constructed underneath the Liwasan ng Kagitingan at Kalikasan, a public nature park that showcases milestones in Philippine History with seven mural installations created by artist Jose Giroy. The Marikina North STP, on the other hand, has the capacity of cleaning up to 100 MLD of used water and was constructed to specifically withstand flooding as it sits right at the banks of Marikina River. Both STPs employ Sequence Batch Reactor (SBR) biological treatment process, an innovation which enables facilities built on limited land areas to more effectively treat larger volumes of used water. 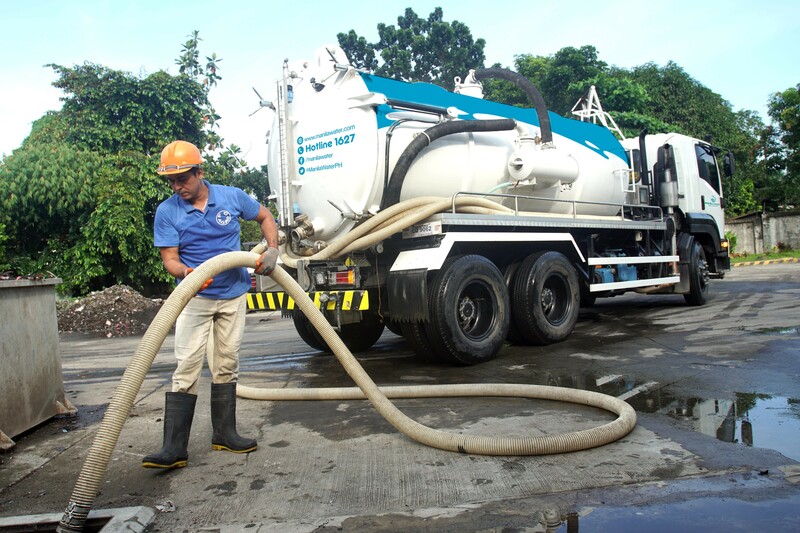 Manila Water currently operates and maintains 38 sewage treatment plants (STP) and 2 septage treatment plants (SpTP), to ensure that used water collected from its customers is treated and cleaned before being discharged back into Metro Manila’s waterways. The discharge from these treatment plants has consistently passed the Department of Environment and Natural Resources (DENR) effluent quality standards, averaging 99.8% compliance over that past five years as against the required 95% compliance set by the Department. More treatment plants are being constructed and more sewer networks are being laid to further increase sewer coverage within its concession. Currently being constructed is the Ilugin Sewage Treatment Plant in Barangay Pinagbuhatan, Pasig City, which is the centerpiece of the North and South Pasig Sewer System Project. All three STPs have a combined capacity of treating up to 275 million liters per day (MLD) of used water, which is targeted to benefit a total of 1.6 million population. The company also continuously promotes its desludging services to its customers, offering scheduled cleaning of septic tanks with no additional charges. From January to December 2018, Manila Water was able to empty 107,338 septic tanks, benefitting around 875,000 population in the entire East Zone. Educating the community on proper wastewater management and the environment. Currently, every city in Metro Manila’s East Zone, plus several municipalities in Rizal, has partnered with Manila Water through Toka Toka, with various programs being enforced down to the barangay level.